Monogram size is approx. 2.8" high x 3.7" wide ~ Perfect for a 4x4 Hoop! This was my first order from AK. I am not very experienced in downloading and unzipping, but the instructions made it really quick and easy. The design stitched out beautifully. I am very happy with the results! The monogram was very nice. Had some trouble unzipping the file. But once it was unzipped it worked great. I will order more in the future. 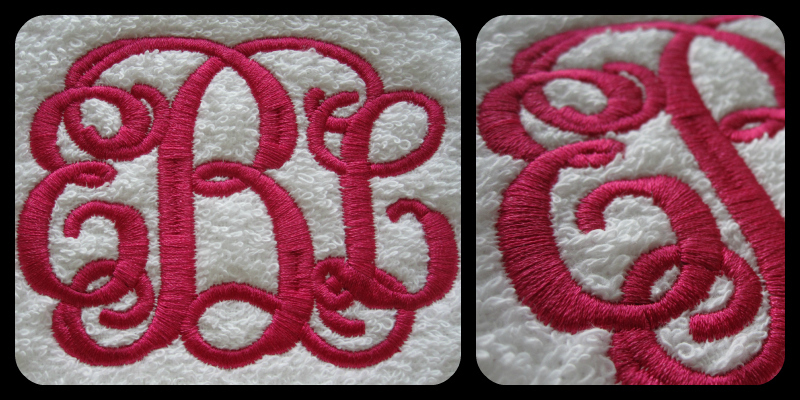 This is a beautiful monogram font that stitched out perfectly on my Brother Quattro 3 machine! I am very pleased with the results!! I'm not at all good at digitizing designs so I wish this font was offered in smaller sizes because I keep thinking of things I could do with it! : ) Overall, I highly recommend it! 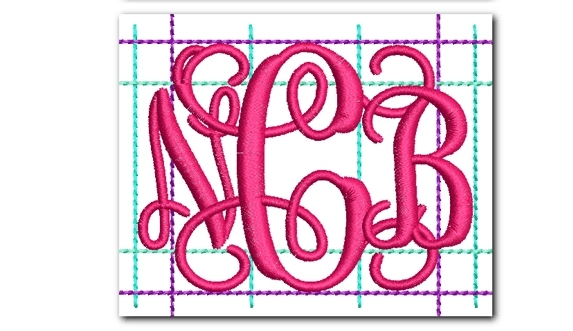 I am very happy the way this monogram stitched out.....I've been very pleased with all the monograms I've downloaded from AKD.....always looking for new monograms.....thank you. This font stitched out beautifully! Stitched onto 2 sundresses and love the result! The design from AK Designs have stitched out very well never had a problem with them. I purchased this font to use on a sweatshirt and it stitched out beautifully! 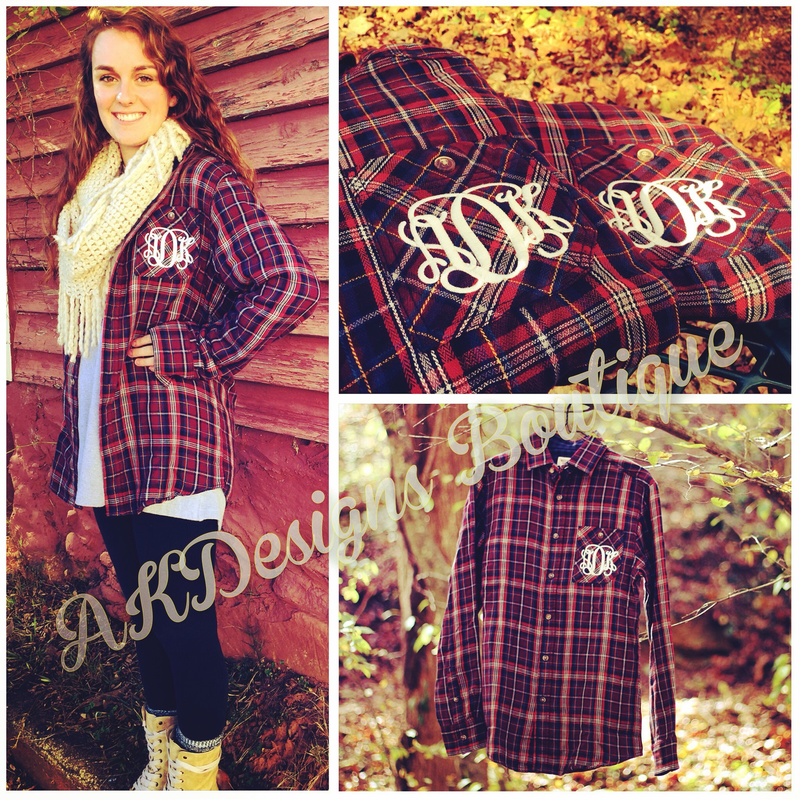 This was my first purchase from AK Designs. I love it! It is beautiful and stitches out great. 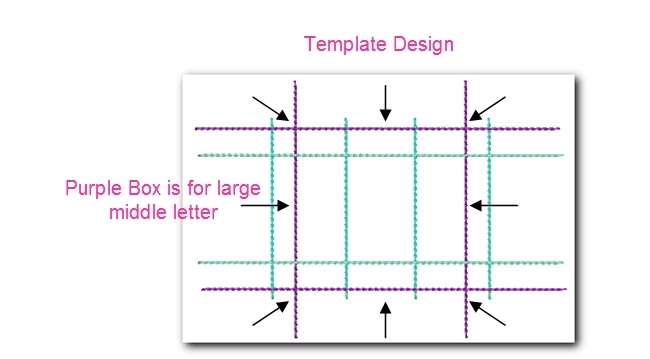 I love the grid template that is included to help you align the letters it makes it so easy! I will definitely be ordering more designs from you. Just great! Looks great on any thing I did! It's a wonderful design. I have all three sizes. It stitches out so pretty! I am currently stitching this out while I type and it is georgous! I absolutely love it!! Just used it for the first time and it was perfect!